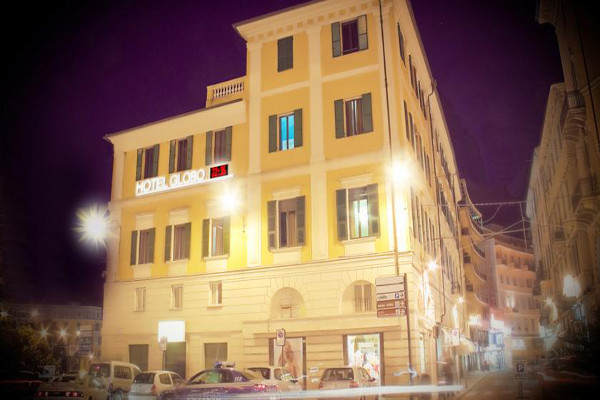 Hotel Globo is an elegant and modern hotel with well-appointed suites. Situated in the heart of the city, the Hotel Globo offers beautiful, comfortable rooms that are ideal for couples, families, businessmen. The Hotel Globo offers 27 welcoming rooms with beautiful wooden floors. 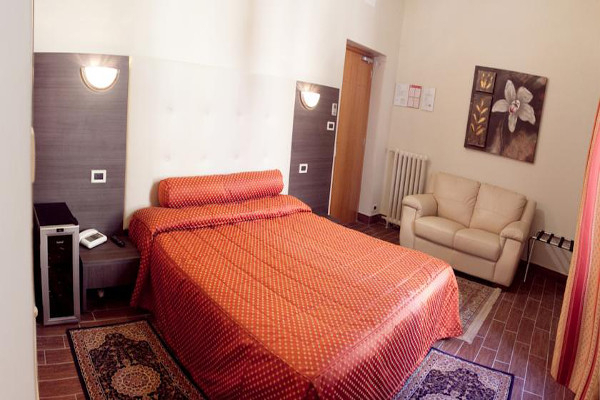 Each spacious, luminous room has satellite TV with LCD flat screen, ADSL internet connection, direct telephone and private bathroom. The rooms all have a hot tub and a balcony with a view over the city. Private parking available on booking and upon payment. 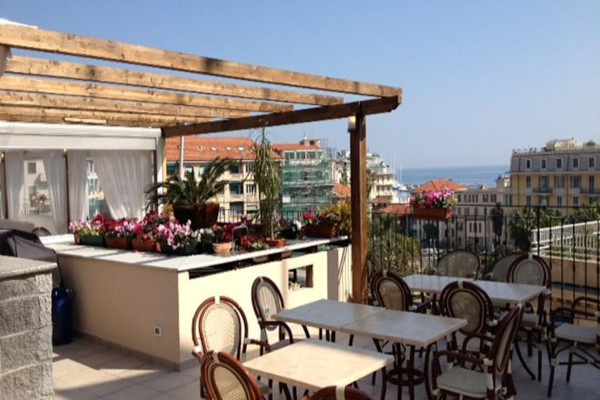 Panoramic terrace with solarium. 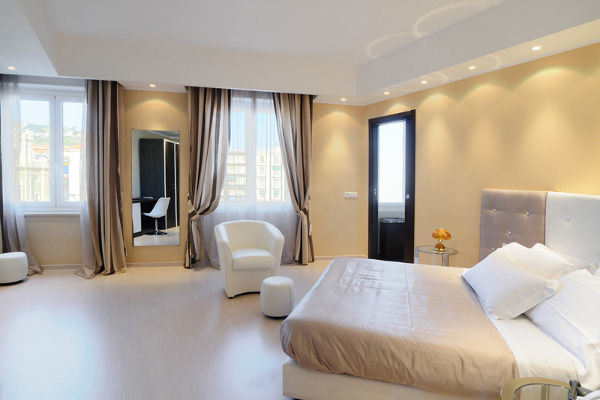 There are also junior suites, family suites, honeymoon suites, and executive suites for businessmen. 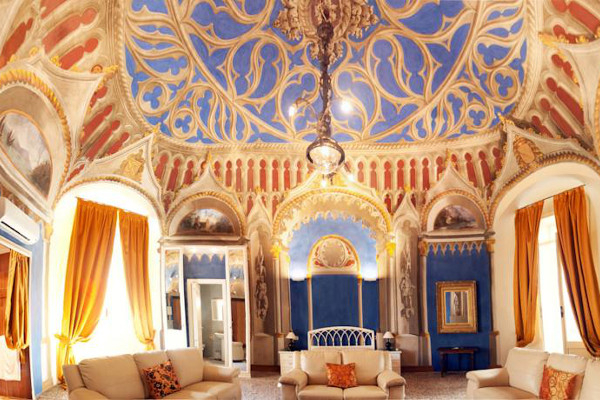 Amongst the most beautiful is the suite named Camera degli Affreschi, decorated with original frescoes from the 19th century, in which King Vittorio Emanuele II stayed after the unification of Italy. The restaurant serves dishes from both local and national cuisine. Breakfast served as a buffet, or in the room. The hotel offers its guest excursions by bicycle. Free stay in cot/small bed for children up to the age of 6 years. Pets admitted free of charge in this hotel. 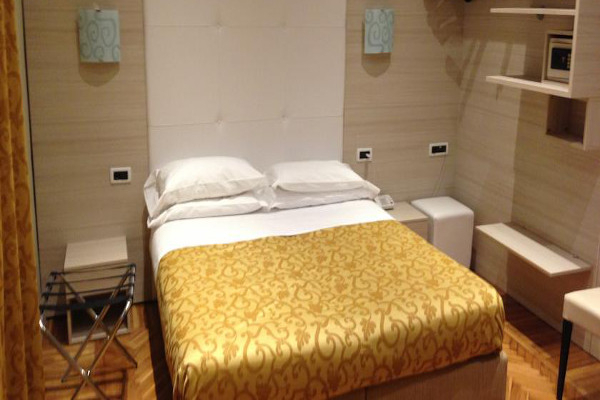 The central location guarantees ease of movement to guests: in fact it is possible to reach the main attractions of the city on foot, including the Casino, the Ariston Theatre, Portosole, the Congress Center and the principal streets for boutiques and shopping. The railway station is less than a kilometer away. Autostrada A10, exit Arma di Taggia – Sanremo Est. You proceed quickly thanks to the Aurelia Bis, third exit (hospital of San Remo) and continue on for the center until you reach Piazza Colombo.